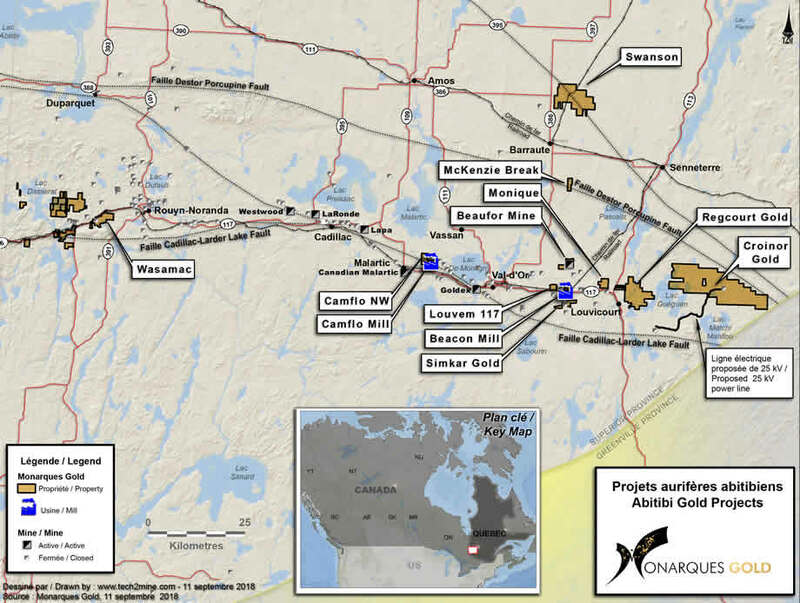 Monarch holds a 100% interest in the Beaufor Mine, which includes two mining leases, a mining concession and 23 mining claims covering an area of 5.9 km2. The mine is located at about 20 kilometres northeast of the town of Val-d’Or, in the Abitibi-East township, in the Province of Quebec. The Beaufor Mine is an underground mine. 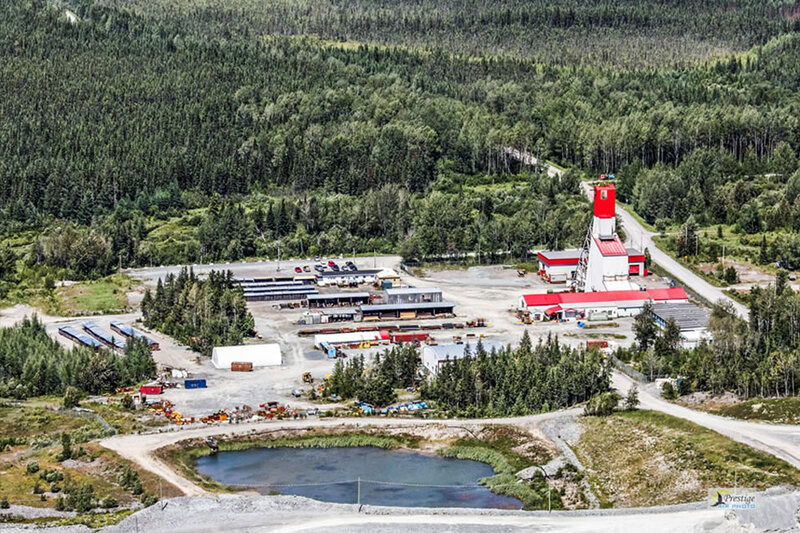 On August 30, 2018, Monarch announced that production activities at the Beaufor Mine will be temporarily suspended as of December 14, 2018, and the mine will be placed on care and maintenance. 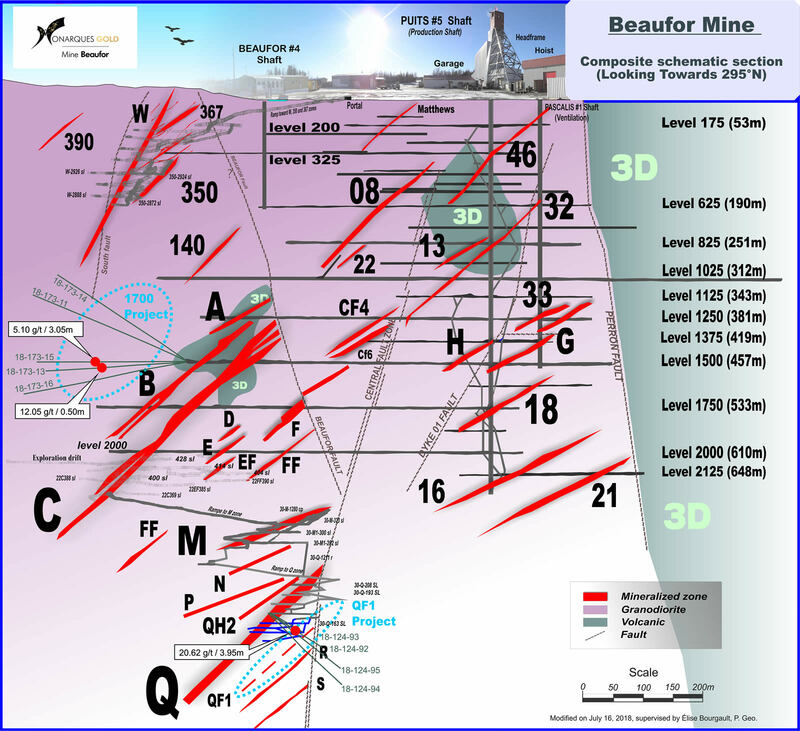 The Beaufor deposit is included in the Bourlamaque granodiorite. Gold mineralization occurs in veins associated with shear zones that moderately dip south. The mineralization is associated with quartz-tourmaline veins resulting from the filling of shear and extension fractures. The gold-bearing veins show a close association with mafic dykes intruding on and undercutting the granodiorite. The dykes seem to have influenced the structural control of the gold-bearing veins. Gold-bearing veins at the Beaufor Mine consist of quartz-tourmaline-pyrite veins, typical of Archean epigenetic lode gold deposits, that cross-cut the Bourlamaque Batholith. Mafic dykes that predate the mineralization are associated with shear- hosted gold-bearing veins. Shallowly dipping extensional gold-bearing veins are commonly observed at the Beaufor Mine. Shear zones striking N70o and dipping steeply to the southwest control the opening and gold enrichment of veins. All the gold-bearing veins are contained in a strongly-altered granodiorite in the form of chlorite-silica forming anastomosing corridors of 5 m to 30 m in thickness. The veins at the Beaufor Mine form sometimes panels of more than 300 m in length by 350 m in height. The thickness of the veins varies from 5 cm to 5 m, but generally, the thickness of the quartz veining system 30 cm to 120 cm. The zones are limited by the Beaufor fault (N115o/65o-75o) and by a parallel system of shears (N70o/sub vertical).